We’re pretty taken by the idea of using virtual reality in the travel industry. And that’s not just because it allows us to explore new lands without having to move much. 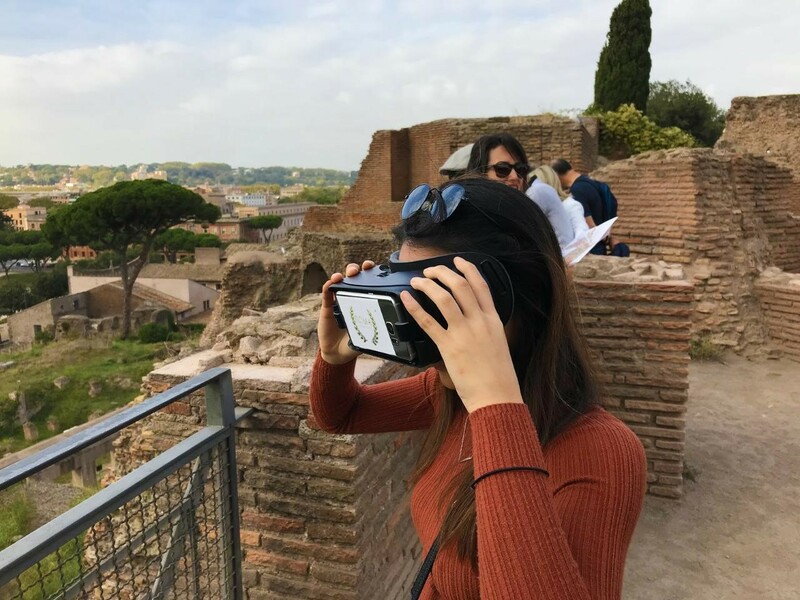 Plenty of travel companies are already using virtual reality to give travellers a taste of destinations before booking, but now Rome tour specialists Roma Experience, are using the platform to transport you back in time. The company’s new virtual reality tour will allow travellers to walk through the streets of ancient Rome from the convenient time of summer 2018. No time travelling car required. The tour company will launch their fascinating new 3D Virtual Tour of Rome Ancient City at the end of April. The immersive new tour will allow travellers to walk through the Roman and Imperial Forum, visit the Circus Maximus and the Barracks of the Gladiators and experience Rome as it was 2000 years ago. The virtual reality tour was designed by Roma Experience in collaboration with experienced archaeologists and tour guides in the city who provided the company with accurate insight into recreating ancient Rome. The tour is led by an expert tour guide who will show participants the thrilling history of the ancient city while they take in the incredible sights. Virtual reality has been a growing trend in the travel industry over recent years, with travel companies investigating interesting ways to utilise this new technology. It is estimated that between 2017 and 2021 shipments of VR devices are set to grow by 400%, and visual content is noted as key trend within marketing for 2018. A recent report from Greenlight VR also found that 74% of consumers expressed an interest in travel and adventure PR content. With this in mind, it’s crucial that travel companies continue to move forward, serving the public interest for this trend, and Roma Experience are paving the way in doing just that. Which major network is giving away the ultimate Fiji holiday? The mayor of Rome has settled a row over water fountain money. However, it’s not known whether said row involved water pistols or pool noodles.